My Cottage Charm: Treasures & Trinkets Thursday Time!!! Yippee~ YOU'RE INVITED FOR TEA! Treasures & Trinkets Thursday Time!!! Yippee~ YOU'RE INVITED FOR TEA! I wanted to share my silver tea service with you and tell you the history of some of my items. My mom gave me the actual tea set and tray....isn't it lovely? 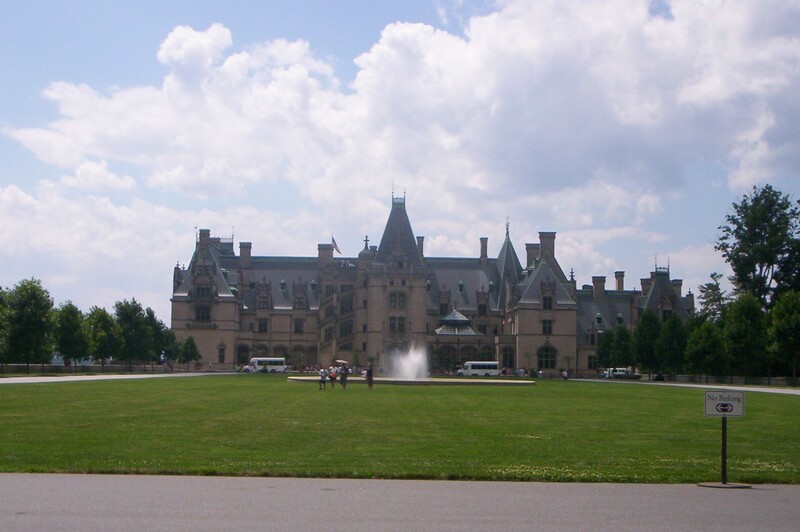 ......The Biltmore Estate in Ashville, NC....we took our last vacation there. I took this picture as we were driving away at the end of a very lovely day. If you've never been there, you should go, it's amazing! I'll have to do a blog about our trip there sometime, I got some great garden shots! This place was built for two people....a baby came along later, but seriously....two people! This little sugar scuttle, that's holding candy, came from a place right here in my town. This is it....it's called Ward Hall. It's open to the public on occasion (for a fee, of course) and we went at Christmas time. They have things you can purchase and silent auctions...very fun. This is an amazing Antebellum home built in 1856, and the detail in architecture is amazing!! I bought the little server when we visited there. It's really nice to go during the Christmas season, they serve hot cider and finger foods as you tour the grand old home. Hope you enjoyed going down memory lane with me as we took a tour of my tea set treasures! Everything is so beautiful! I love your tea cup from the Biltmore Estate. Thomas and I plan on going there. You must tell us about your time there! Your 'nut/mint server' is actually a sugar scuttle. Ward Hall looks like another amazing place to visit. Thank you for sharing! I know I'm dragging this week...too much to do and too little time. I love, love your teacup and your cabinet redo from the last post. Your transformations just amaze me. Your service is LOVELY and obviously you have a special husband! LOVE that scuttle...it's gorgeous! I've never been to biltmore but would love to go! I live about an hour away from Asheville. 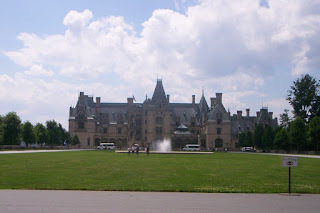 I have live here almost my whole life and only just went to Biltmore for the first time in Dec. Can you believe that??? It's gorgeous @ Christmastime! Oh I adore the Biltmore. I have been there many times in various seasons. Mr. Decor has been in Asheville for the past 10 days taking care of his mother who is very ill. Please know that your prayers indeed are helping to carry me through.